Over the past 40 years craft-brewed beer has exploded in growth. In 1980, a handful of "microbrewery" pioneers launched a revolution that would challenge the dominance of the national brands, Budweiser, Coors, and Miller, and change the way Americans think about, and drink, beer. Today, there are more than 2,700 craft breweries in the United States and another 1,500 are in the works. Their influence is spreading to Europe's great brewing nations, and to countries all over the globe. 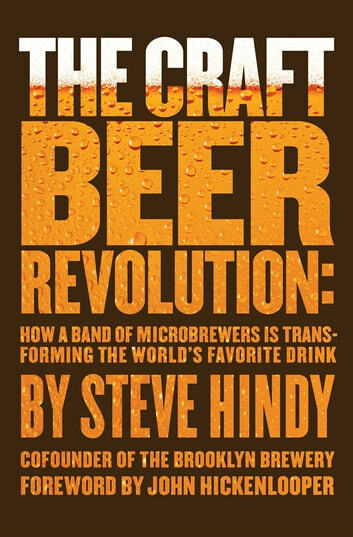 In The Craft Beer Revolution, Steve Hindy, co-founder of Brooklyn Brewery, tells the inside story of how a band of homebrewers and microbrewers came together to become one of America's great entrepreneurial triumphs. Beginning with Fritz Maytag, scion of the washing machine company, and Jack McAuliffe, a US Navy submariner who developed a passion for real beer while serving in Scotland, Hindy tells the story of hundreds of creative businesses like Deschutes Brewery, New Belgium, Dogfish Head, and Harpoon. He shows how their individual and collective efforts have combined to grab 10 percent of the dollar share of the US beer market. 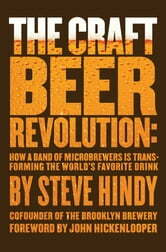 Hindy also explores how Budweiser, Miller, and Coors, all now owned by international conglomerates, are creating their own craft-style beers, the same way major food companies have acquired or created smaller organic labels to court credibility with a new generation of discerning eaters and drinkers. This is a timely and fascinating look at what America's new generation of entrepreneurs can learn from the intrepid pioneering brewers who are transforming the way Americans enjoy this wonderful, inexpensive, storied beverage: beer.